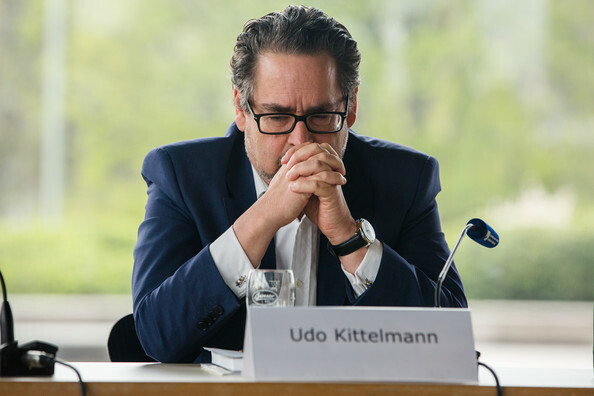 It is difficult to say if Udo Kittelmann uses the word "absolutely" quite so often when he speaks in German. 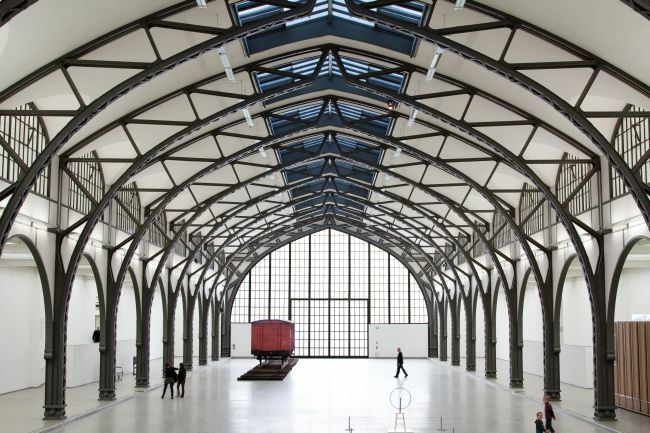 But during our interview in one of the – rooms of Berlin Contemporary Art Museum Hamburger Bahnhof, where his office is located, he used it more than once. This gray-haired self-confident man who went out for a cigarette after our conversation, knows much about how and what we see. Udo Kittelmann is the director of Nationalgalerie, which includes several museums, hosting art from 19thand 20thcentury as also contemporary art. 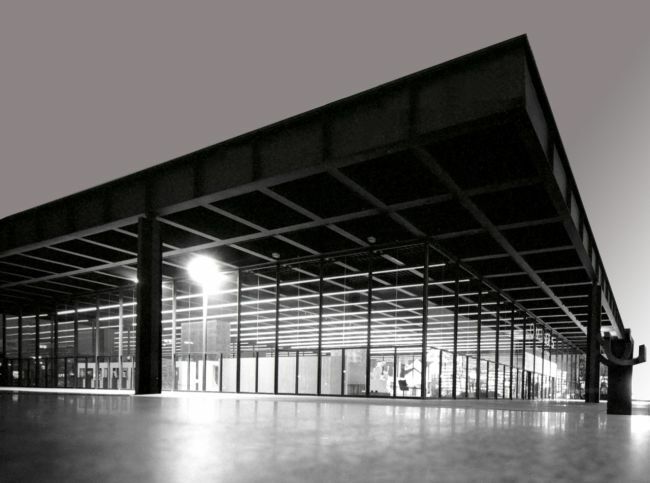 These museums include: Alte Nationalgalerie, Neue Nationalgalerie, Hamburger Bahnhof, Museum Berggruen, Sammlung Scharf-Gerstenbergasn and Friedrichswerdersche Kirche. Born in 1958 in Dusseldorf, since 1987 Kittelmann curated and organized almost 150 exhibitions. Among those such influential ones like Elaine Sturtevant’s retrospective in 2004 or the group exhibition “The living Museum” in 2003. A project that raised up the question how a museum will change if the exhibited artworks are not static anymore, but all alive. In this sense the whole museum was dedicated to performative works only for six continuous weeks. From 1994 to 2001, he was the director of Kölnischer Kunstverein, and in 2001 he became the curator of the German pavilion at the Venice Biennale where Totes Hausby Georg Schneider was awarded the Golden Lion as the best national pavilion.After that, he once again headed one of the most influential German art institutions - Museum fürModerneKunstin Frankfurt, and already in 2008 he was offered his post in Berlin. He knows his artists; he knows how to be friends and work with them. Kittelmann was pleased to accept the invitation to become the curator of the Russian pavilion at the previous Venice Biennale, because it was an offer from his old friend Vadim Zakharov, a Moscow conceptualist based in Germany. Kittelmann, the director of a whole association of Berlin museums, and Nicholas Serota who heads four Tate galleries in London and Liverpool are at times called the most influential heads of art institutions in Europe. Moreover, both of them continue to have a rather active curatorial practice. 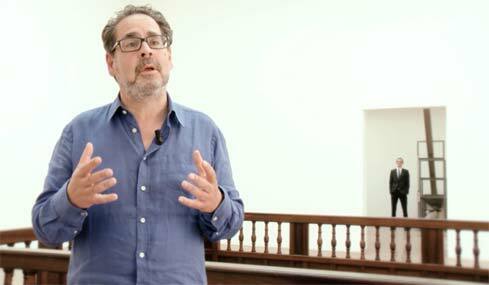 In his interviews, Kittelmann says that to stop being a curator for him would equal ceasing to breathe. "It is the very process of working with artists that gives me the energy necessary for dealing with the whole complex of my responsibilities.". In addition, he is always ready to look where there are still "white spots" on the map. For many, a revelation was the exhibition of Gottfried Lindauer, a 19th century artist born in the Czech lands who left for New Zealand in the 1870s and started drawing the local Maori. Kittelmann worked on this project for ten years to get the permission to bring Lindauer's works out of New Zealand for the first time. Kittelmann thinks that in the future the importance of art museums will to a great extent depend on their ability to find and present to the public art by still little known artists or the less known ones among the recognized authors. It is really is important for Berlin with its uncommonly multifaceted artistic and cultural life and with a powerful competition among events and impressions. If in the 1970s through the 1990s the city offered an impressive mix from the underground, empty territories and new opportunities, right now Berlin is capable of laying outfor its residents and guests alike an incredibly rich range of both old and new art. After the interview I went to look at exhibitions on offer only by Hamburger Banhoffand spent on it a magnificent half of the day filled with powerful impressions, after which all I could do was to sit at a street table of a Pakistani café drinking a mango lassi. And it is no accident that Berlin and its current status as one of the main European art capitals became the first topic of our conversation. Udo Kittelmann: Berlin in the geographical sense is the center of Europe. Paris and Moscow are equidistant from it. It was already an art capital in the 1920s. Now it is again assuming that role. Artists from all over the world live here, not only from Western and Eastern Europe, but also from South America, USA, Israel. It is a very international environment. At the same time, by its structure, the city is still rather comfortable, it is rather easy to live here.In its space, there exist quite a few ideas on freedom and the future.It is an open environment, and that means it is the best place where to express your creativity. I think this is how Berlin of today could be described in a few words. If we were to predict the future, however, I think for the next few years it will remain the same. Yet much will depend on the direction in which the world at large will move. It may happen that in about twenty years a different art capital has emerged. It may happen in the East or in the South or somewhere else on this planet.True, I don't think it will be Australia: it is simply too far away.Just as before, it is important how the city is connected to the rest of the world geographically and geopolitically. Yesterday a large exhibition opened dedicated to David Bowie. And everyone was talking about how essential it was for Bowie to come to Berlin and record here three of his most important albums. Yes, it was primarily an underground scene. 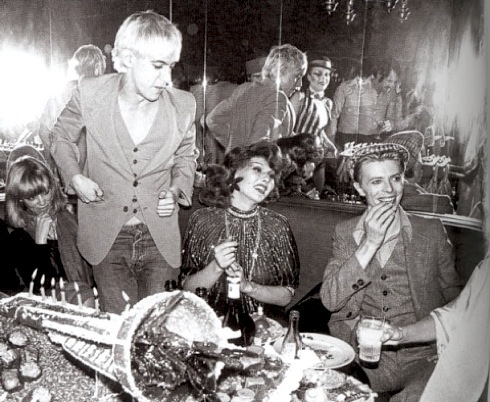 And Bowie came to this "island" of sorts, a city-island in order to escape something, to restore something in himself and to find out something new. An island that you can scan with one glance is a good place. Particularly if this relatively small place is charged with political energy. And Berlin has always been like that. And in the recent past it was even more the case than now.Yet then the underground scene was paramount. Now I would say that here exists a rather popular scene followed from all corners of the world. It can also be called quite commercial and still there are many parallel hidden phenomena here. After all, things are about the same all over on our small planet. There is always the official culture and an unofficial one, which at some point will nevertheless come to the surface and become the leader. That is why it is so important to care for off-cultures. They are rather more important for the future than the things that we already know. Is art in Berlin now made by an international team or do German artists still play the first violin? No. This art is very international. Even if I look just at our program: in September, we are doing a show by Mariana Castillo Debal, she is from Mexico. 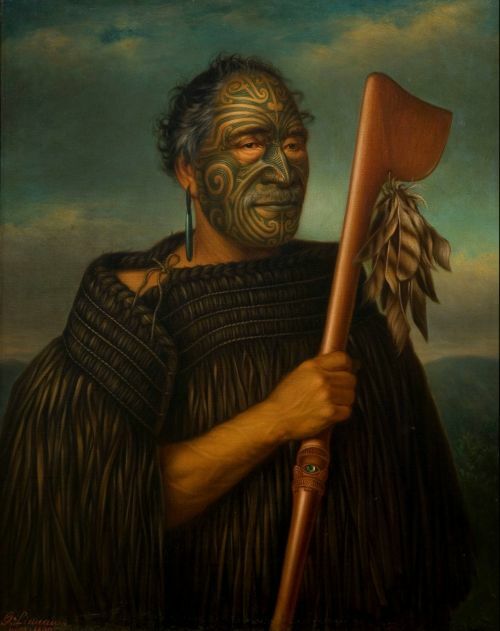 We are doing a big exhibition about Gottfried Lindauer who in the 19th century received art education at the Vienna Academy but then moved to New Zealand and started to draw outstanding portraits of the Maori. You could say that it's my personal answer, my personal contribution: a dedication to global thinking which existed already at the turn of the 20th century. When you started out as a curator – did you have interactions with an international team of artists then? From the very beginning I was interested in the persistent "western" connection between Germany and the United States. But already in 1996 I curated a large exhibition by an artist from Russia, Vadim Zakharov. I met Ilya Kabakov, Erik Bulatov even years before. So already since the late 1990s what I am doing has received a strikingly expressed international context, although I must say that I was always interested in artists coming from nations and countries that have some sort of political influence in the world. On the other hand, in the same 1990s at Kölnischer Kunstverein I showed artists from Brazil like Helio Oiticica, Ernesto Neta and Cildo Meireles. And of course, RikritTiravanija, who at that time was already regarded a global acting artist. So the international context was always there. When I started out, there did not even exist such a term as "curator" in Germany. And the just emerging essence of the profession did not yet experience such a powerful influence of the market. The main thing was to see art, meet artists and then make the decision: I want to support him or her to make a classy exhibition. But that has changed totally. Now there are curators everywhere. They are countless. It is trendy to be a curator. In the 1980s when you were a freelancer, you could not even imagine that you might make a living with this thing. You were fighting to survive. Now, contemporary art has become so popular that it has created its own market, which can be compared with securities market. And it was my generation that created the foundation for all that. 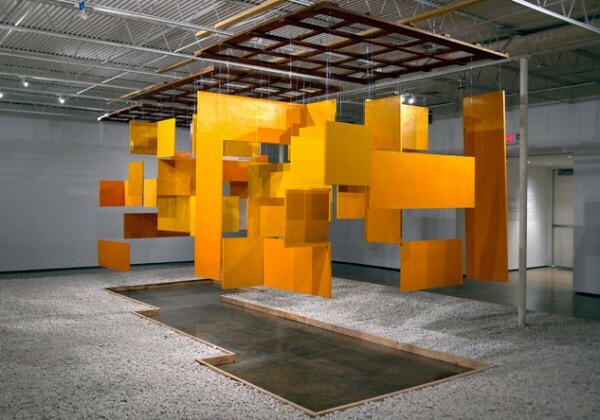 Our goal was to make contemporary art as popular as possible and to introduce its ideas to as many people as possible. But at that time, even in the mid-1990s, no one could imagine where we'll end up. Twenty-five years ago, the art world was a pretty quiet place, not subject to any controls. In some old text I wrote that art and art institutions in general cannot be better than the world in which they exist. We are always children of our time. Now we have the art world which in many ways reflects contemporary reality. I can only hope and assume that it will change once again and very soon. I still believe that the value of art does not depend directly on its financial price. What is important is the intellectual value. And now we have to fight with all our potential to once again balance the situation. I cannot list all the reasons why it happened. But just look at the financial crisis, which we experienced recently and in which we may still find ourselves. It involves the same loss of control. When something like that happens, when we don't take in the whole picture, it ends in chaos. But is the art world something that can and should be controlled? No, no. Art must not be controlled. Yet the system of what should be attributed value and how – must. We have lost the sense of what real values are not only in visual art but generally, in contemporary culture. I would say that the problem exists on a general, overall level. Artistic values have to do with an intellectual approach, with the power with which the creativity of an artist reflects our world. Art that is fit to be hung above the couch is not enough. A purely aesthetic idea of art is not enough. Once made, the work has to remain in our world for a very long time. That means that it must somehow reflect and represent the time when it was created. Is this reflection of the time always related to some particular media through which Zeitgeistis at the moment expressed? The 2000s in many ways was an era of video and film. Now we are once again returning to painting. The times have changed again. It is hard to say what will happen in another few years. But that's how it has always been in the world of art. Always there is some medium that aspires to be first and foremost. But even in the 2000s, in the video era, thousands upon thousands of people still painted. Everything in this world is related to many things and is influenced by many factors. Of course, curators, galleries, museums etc., etc. impacted this process. There is no area in this world that would not experience the influence of someone's ideas of how to do good business. I would like to imagine the kind of world which experiences no influence of business or art of making deals. It would be a totally different world, but I am not at all sure that it would be any better. I don't know, I don't know(Laughs). One very good idea costs a hundred thousand euro. I could become a super rich man because in a day's work I can generate a dozen of pretty good ideas. But the system of values has to be changed. And I think that it is the way of the future. People who really do have great ideas that move us forward – they should make money more than anyone. And artists belong to that group. Do you see the potential in young artists to change this world? I do not think that art changes the world. Yet it can help one look at the world through different eyes and to change the way we think. Of course, art will continue to play this role. And we have to admit that we need a much greater degree of creativity than what we have now. We need much more fantasy and imagination. I think the reason is because the surrounding world is becoming ever more functional, ever more controlled. That kills imagination. Yet imagination may be the most important thing that sets a person apart from the surrounding world. Without imagination, there is no future. How do you choose your artists, how do you decide that this artist should be supported and handled? From the very beginning, I simply liked to work with artists. But it also has to do with understanding, being aware that in your role as a curator you can transform this art so that the viewer would get a key to this world. It has to do with making people think. And it has to do with inventing strategies for making it happen. Sometimes it is possible to achieve this with the help of something very moving but at other times you need something irritating, even provoking. But even the emotional and intellectual part should push the viewer to think. What type of artist is most congenial to you? I am not limited by any particular style or movement in art which is more or less popular at any given moment. I really love artists with a strong individuality. Artists that do not care about established discourses. I was always more interested in artists that, as I assumed, would incite discourse. So it has more to do with personality than style. Absolutely. Absolutely, because it is personality that creates style.If style creates the personality, then it's the wrong direction. When did your interest in art from Russia first appear? Oh... It's rather ancient history. And it all happened on its own. I did not have a plan: now it's time to become interested in Russian artists. After the fall of the Berlin Wall, I met very many artists "from the other side". It was a heady moment. It was an opportunity to meet young nonconformist artists from the former socialist camp. And at the end of the 1980s and beginning of the 1990s, there was this wave of Russian art craze that took over both galleries and auction houses. And 5-6 years later… even earlier… it was all over. Because they failed to create a permanent art market on this wave.They simply fell in the trap of capitalism. I actually read very much of Russian literature and I think that if you want to have an insight into Russian art, you have to have an idea about Russian literature, particularly that of the 19th century.You must be able to read between lines. Russian art possesses a multilayer system of metaphorical meanings. Western art in this sense is much simpler. Yes, yes. You can follow it one to one, whereas Russian art requires much more imagination. Of course, it is hard to generalize, but should we try… It also depended on the political and social situation. You had to learn to hide, to conceal certain things. And fantasies, images, visions are covered by a layer of metaphors. Much time had to pass before they found out in the West that, say, the "Black Square" by Malevich is not abstractionism. Yet it was asserted for quite a long time. Of course, it is not so. That it appeared was connected to social and political ideas. Absolutely. And there was also a particular connection with icon painting. On icons, the scriptures, the book itself very often appears as a black square. What is that? Where is this taking us? I think that in the future we will have to spend more time on learning how to view art. And then think about it. Instead of the other way round. Art must first be seen.And what we need is a "thinking eye". Because the brain cannot see on its own. You seem to be particularly interested in the Moscow conceptualists? Yes, definitely in the beginning. They applied all the conceptual strategies that I knew from western art. It was not at all exotic. There was no "folklore". I will never forget the first works that I sawby Kabakov, or his children's books. It was fantastic! And at the same time, there was this question present in these works: "Hey, will you be able to see more in me that what is there on the surface?" 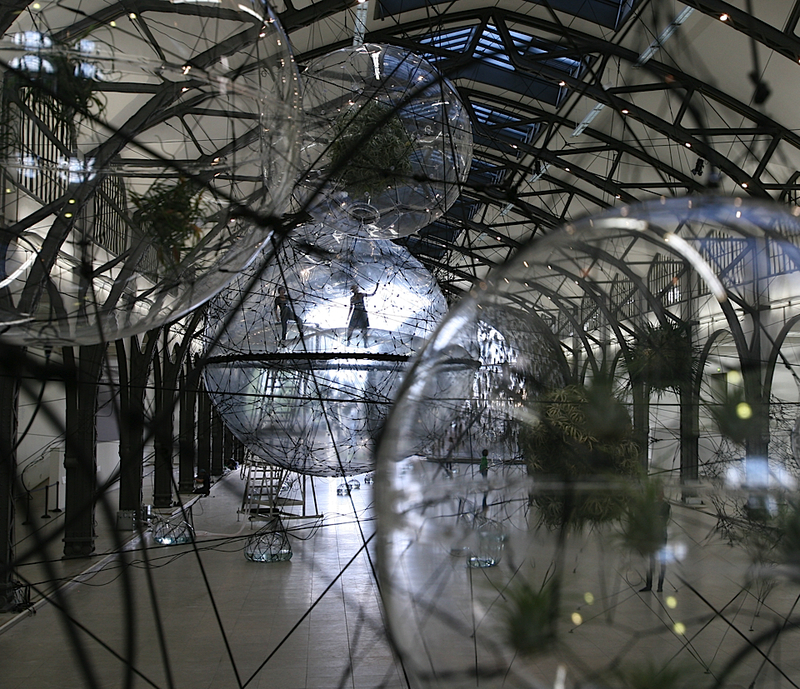 You also curated Vadim Zakharov's project for the last Venice Biennale. What was your experience working with the Russian side? I must say that the most difficult was work with Vadim himself. He is a fantastic artist! Yet artists are always complicated personalities. The more interesting the artist, the more complicated.Because it all has to do with ideas and how you focus on something. But the rest was very easy, I must say. Absolutely. There was no instance where Vadim and I would be somehow made to "step on the brake" regarding our ideas. Not once. I know what you mean. It is already history, in principle. What happened was that twenty years was needed to appreciate what the Moscow conceptualists had accomplished. This makes them more popular now than ever. But I think that this group and interest in it will become some sort of a platform for understanding how many more things have happened and are happening in Russia. Yet at first some sort of a platform or base is needed. You must understand where you are coming from. I don't doubt that basically it's already history. But that's how it happens always and everywhere. You must understand who your father and mother are. If you don't, something is wrong with you, you are lost. And then some time is needed to overcome their influence. You still have a strained relationship with them, but not the kind you had in your childhood. (After a pause) Nice words by the way? (Laughs). One should never forget that only twenty-five years ago there were two Europes, Western and Eastern. The situation has changed, but for it to really change, time is needed. Even if you live in Berlin, you feel the difference between the West and the East. And that's twenty-five years down the road, in one city. How can one talk about the world at large if it was split into two? Only the sky unites us. You mean what is now happening in politics? That it is directly connected to the past? What is happening now… I never expected anything like this. You know, when 20 years ago I first took the flight from Frankfurt to Rio de Janeiro I understood how small our planet is. It is super tiny. And thanks to the new technologies, it is becoming ever smaller, ever more graspable. Now we live in a space much more interconnected. And I believe that each individual is only a piece in this puzzle. And that we need education and ability to face our own history to move forward. The world we live in is at the same time becoming more complicated. And we depend so much on the politicians who have assumed responsibility for us. If there is one main lesson that should be extracted from history it is "let us talk". The planet needs peace. But can we somehow resist this, is it within our power? I have a dream, so to say... I have a dream. But what's going on makes me speechless. Speechless, yeah.I think everyone must make a conscious effort so as to not make what's happening even more frightening. Absolutely.Absolutely. Yes. But let's get back to art. What should we in the Baltics, Russia and Scandinavia know about German contemporary art? I have never really thought of art in such categories – "German art", "Russian art"… I think we all speak more or less the same language. And I never in my life have put together exhibitions by the national principle: only German artists or only Russian or Turkish ones. I believe in individuality. There was just one exception. It was the exhibition of Chinese photography, mostly documentary pictures. 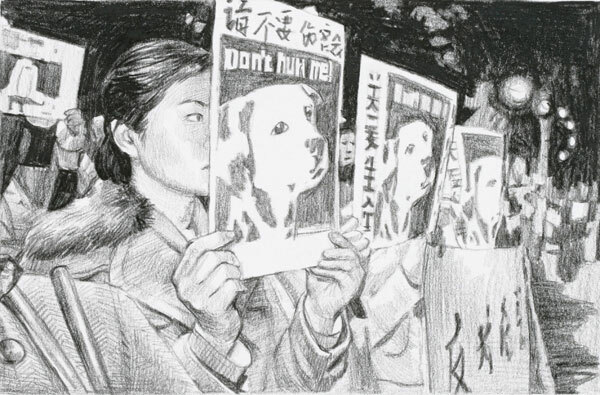 And the exhibition was entitled "Humanism in China". You of course understand what this was about? Yet art can represent a place instead of a government, can it not? Oh, sure. You can never run away – from where you were born. It's the same story about your father and mother. Even if you want to renounce them, you will never be completely rid of them. A personality always knows from where it came from, from what reality. And there is no one common reality in this world. There are thousands of realities and it is what makes the world so complicated. Okay, so let us talk not about German art but about art from Berlin. Do you follow what new and interesting things appear here? It is one of my duties. Yet there is sоmuch happening that I am sure to miss something. I will not name names, I never do that. Be it as it may, there is no seminal movement here about which one could say – this is the art of Berlin. Fortunately, no.